Bye-Bye Monsters ~ Facing Your Fear! 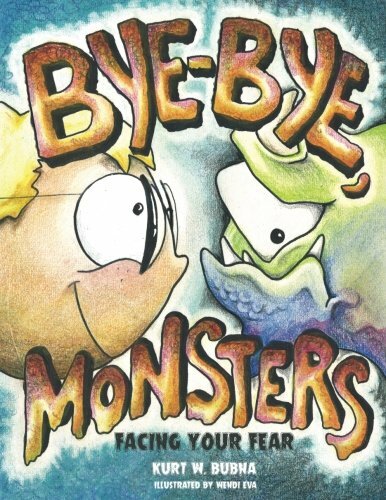 Home > Books > Bye-Bye Monsters ~ Facing Your Fear! Help Your Child Overcome Fear! Everyone—from the youngest child to the oldest adult—experiences fear at one time or another. In fact, most kids face some type of phobia on a regular basis. Some fears are okay (e.g. fear of touching a hot stove), but a lot of anxiety is irrational and unwarranted. Typical childhood fears change with age, but when fears persist, they can take a toll on a child's sense of worth and well-being. Tragically, worry that stems from scary childhood experiences torments too many adults. In this story, a boy named Boo is overwhelmed by many fears. However, he learns to overcome them by remembering that he is not alone and that God is bigger than that which scares him. Typical childhood fears change with age, but when fears persist, they can take a toll on a child’s sense of worth and well-being. Tragically, worry that stems from scary childhood experiences torments too many adults. In this story, a boy named Boo is overwhelmed by many fears. However, he learns to overcome them by remembering that he is not alone and that God is bigger than what scares him.